Once home to the Garankuwa United football team, the ODI Stadium is one of South Africa’s multi-purpose stadiums based in Mabopane. The ODI stadium is most suited for football matches and can accommodate up to 60,000 fans. Mabopane is within the Tshwane Metropolitan Council jurisdiction and just north of Pretoria. The ODI stadium consists of a grandstand that is uncovered, 2 triangular stands that are smaller, a secondary stand, 20 floating stands and 4 rectangular stands, which offers around 50,000 seats to spectators. The ODI was built in the later part of the 1980s and its list of facilities includes an athletic track, soccer field and the stadium can accommodate many field events such as hammer throw, javelin throw, high jump and long jump. Other facilities also include four sets of female / male restrooms, two changing rooms, no less than four kiosks, a security room, VIP seating and lounge, a press room, referee room, generator room, admin offices, several indoor sporting arenas, stores, four ticketing offices and four high masts. The precinct facilities directly outside the ODI stadium include the caretaker’s house, clubhouse, basketball training grounds, tennis combi-courts, as well as two informal soccer grounds for training and volleyball training grounds. When it comes to size and capacity, the ODI Stadium is the third largest in South Africa with its capacity of 60,000, while the second largest is the Ellis Park Stadium based in Johannesburg with a capacity of 62,567 and Soccer City is the largest and this Gauteng stadium can facilitate 94,736. Even though the ODI Stadium is one of the largest in the country, it has not been used in more than a decade and has fallen into disrepair. The complete abandonment of the ODI Stadium by the government is a great bother to most residents who believe it could be put to good use. The facility is only 30 km north of Pretoria and became a criminal haven. During the late 1980s and early 1990s, the ODI Stadium was used for big soccer matches including matches of the Moroka Swallows, Kaizer Chiefs, Orlando Pirates, Wits University, Mamelodi Sundowns. 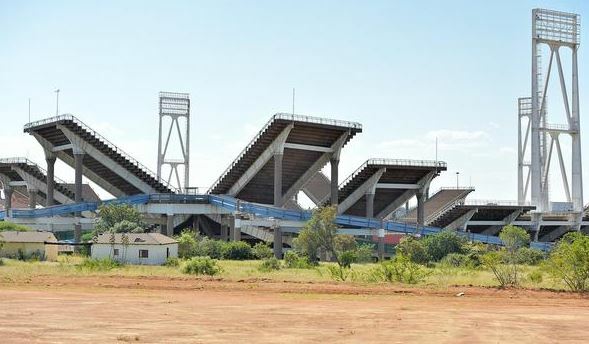 It was also a great venue for gatherings of the ZCC and the ANC, although the complete lack of maintenance combined with the vandalism of this once premier stadium, left it in a terribly bad state, and the grandstands are falling apart. During a press conference, the Tswana government said that the ODI stadium is not structured securely, it is not safe, and it is decommissioned for all mass gatherings and any type of sport. Sadly, the ODI Stadium is not maintained at all and without electricity and water and this major stadium was also not used in the 2010 World Cup that took place in South Africa.